Are you looking for a modern high-quality furnished villa in central but yet quiet canal location? Then the Villa Dolce Vita is ideal for you! This villa will delight you. Three high-quality bedrooms, two bathrooms and a living area with a kitchen where nothing is missing. Everything is beautiful and elegantly furnished. The villa is also ideal for families with children, everything is available. Even various games, bicycles and a ping pong table. The pool terrace is perfect equipped with very high quality lounge furniture to relax and enjoy. In the beautifully shaped pool swimming is fun. Holiday dreams come true at Villa Dolce Vita - You never again want to leave! We stayed in this house for a week in August 2016. The house looks like new and is well maintained. The house is absolutely amazing. We loved the luxury in the house and the pool. We also loved the outside television where we watched the Olympic games every day. The contact with the property manager Michael is very good. We wished we booked the house for a longer period. 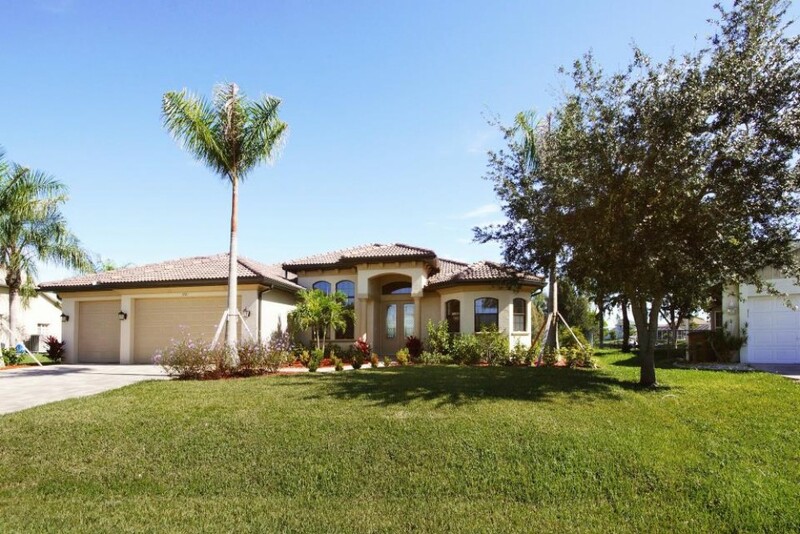 If we plan to visit Cape Coral or Fort Myers again we certainly book this house again if it is available.